We have started the preparations for the fourth number after publishing the third issue of the journal. We welcome your valuable contribution in the form of research articles and book reviews. 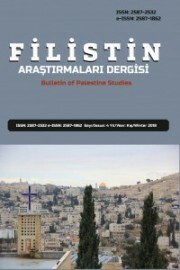 Please read the Writing Rules and Editorial Principles before uploading your articles and evaluations by clicking the "Submit Article" button at www.filistin.org.